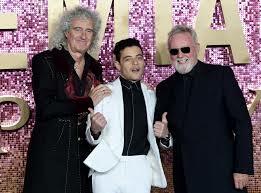 Brian May (left) Rami Malek (center) and Roger Taylor (right) celebrate the Bohemian Rhapsody release. The recently released Bohemian Rhapsody has received its fair share of criticism: the storyline is an inauthentic attempt at sterilizing the life of a troubled icon, it seems to struggle with the concept of actual homosexuality, and overall seems to undermine the sporadic, free formed individuality that was and is Freddie Mercury. These criticism are directed mostly towards Brian May and Roger Taylor. 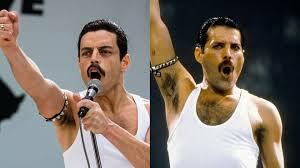 The two Queen members took on the roles of producers for the film, and many believed the pair to be acting in their own self interest by altering the storyline and airbrushing their roles in Freddie’s life. This assertion is somewhat ironically proven by the praise the movie has received. Almost all positive commentary is directed towards the gorgeous performance of underdog Rami Malek, who was only ceded the role after brutal casting disputes. Queen fans walked into opening night of Bohemian Rhapsody with considerable apprehension. The lead up to November 2 was a tumultuous one. 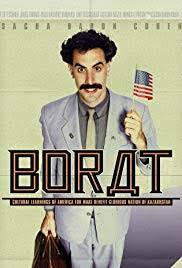 When followers of the movie’s process learned that, after six years of work starring as Mercury, Sacha Baron Cohen was to leave the film, speculation ran amuck. However, none of the involved parties were concerned with holding back information for the sake of sparing feelings. Cohen expressed frustration over the years he wasted in a 2016 interview on the Howard Stern Show. “My first meeting, I should have never carried on,” said Cohen, who ran into ‘creative differences’ with band members right away. Cohen was inspired by Mercury’s “extreme lifestyle”, and wanted to make a film that paid tribute to the man through an honest portrayal of even his most obscene practices. The ‘creative differences’ so often alluded to in articles at the time lied in, as Cohen revealed, differing opinions on how the film should progress. Cohen quoted an unnamed member of Queen, later revealed to be Brian May, as having said, “This is such a great movie because it’s got such an amazing thing that happens in the middle of the movie.” That ‘amazing thing’, according to Cohen, was intended to be Mercury’s death. This proved outrageous to the fanbase. 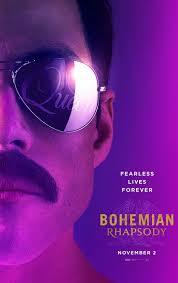 Essentially, Cohen asserted, the surviving members of Queen were attempting to market the movie as a story about the immortal legacy of Freddie Mercury, but intended for the film itself to function as personal publicity for their continuing careers. Both May and Taylor tour and produce music to this day, both as solo artists and as Queen. Cohen was outraged at what he perceived to be their attempt to capitalize off the fame of their dead bandmate. These assumptions infuriated May, who said of Cohen in an interview for the Daily Mail, “He’s an arse.” May went on to attack Sacha openly in the tabloids, constantly demeaning his acting skills on the basis of his comedic career history (Cohen has held leading roles in such comedies as Borat). He accused Cohen of not being capable of taking the role seriously, saying his portrayal, “wouldn’t suspend your disbelief.” He said of Brian Wishaw, their prospective second choice, “He’s fabulous – a real actor.” Criticisms of Cohen didn’t stop with May. Queen drummer Roger Taylor backed his bandmates stance, saying Cohen, “wasn’t really at heart an actor.” With all involved parties acting incredibly immature, hopes were not high among the fan base. In addition to infighting and the constant shift of directorial power, worry befell eager audiences in the form of Rami Malek. Famous for his role as Elliot in the television show Mr. Robot, Malek was not an original contender for the role of Mercury. Ironically, his portrayal has been the critical saving grace of the movie. 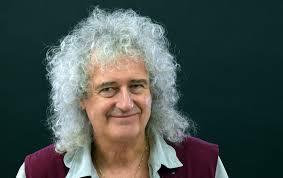 Every nit-picking, fanatic, Queen obsessed critic has had something positive to say about Malek’s performance, even as they bash what Brian May called “a great storyline.” Even the most knowledgeable Freddie fans, and the band members themselves, had nothing negative to say of Malek’s skill, May also dubbing him “great”. During filming, Malek was questioned constantly about the difficulties he faced in pulling off such an iconic role. A first generation Egyptian-American and dedicated actor, Malek spoke constantly of attempting to honor the man for who he was. He held the same awe that inspired Cohen, saying during a segment on the tonight show, “[Freddie] never ceases to amaze me.” He also possessed Cohen’s drive, citing in another interview the hours of work he put in to the accuracy of his portrayal: “I watched every piece of archival footage that exists on the internet, every documentary, I read every book”. He did what Cohen could not, however, and won over the insolent band members, at least to an extent that allowed the movie to be produced. While he may not have been their first, or even second choice for the role, Malek is the redeeming quality that has pacified even the movie’s most ardent critics. 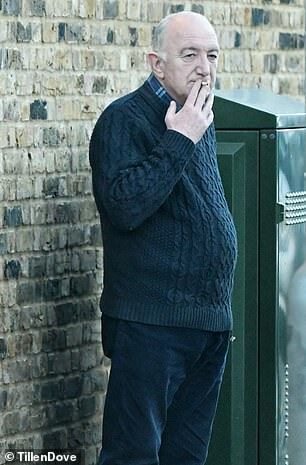 We’re sorry, John Deacon. We understand why you haven’t given a public comment in 30 years.